Provide comfort for the family of Richard Terry with a meaningful gesture of sympathy. Richard Scott Terry, age 60, of Cinnaminson, NJ, passed away in the comfort of his own home and surrounded by his loving family on March 16, 2019. Richard, lovingly known as Scott, was born July 23, 1958 in Atlantic City, NJ, raised his family in Willingboro, NJ for 25 years before spending the last 7 years of his life in Cinnaminson, NJ. Scott was in the accounting profession and held various positions including Project Manager and Financial Auditor. He was also a Certified Public Accountant. In his last four years, he was employed at St. Michaels, Inc., as a Financial Manager. 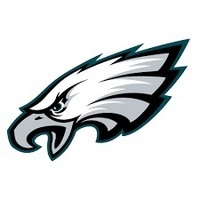 Scott enjoyed sports and when he was not spending Saturdays on golf courses around the world, he enjoyed cheering for his favorite football team, the Philadelphia Eagles. Scott also had a passion for music, especially jazz. He started playing the drums at 15 years old and continued throughout his life, playing as part of the worship team at World Harvest Christian Center in Pennsauken, NJ, where he served as an elder. While he enjoyed his hobbies immensely, his greatest joy was spending time with his family. He was predeceased by his parents, Richard Thomas Terry and Imogene Price. He is survived by his companion Lisa M. Mutch; his children, Krysten Terry, Victoria Terry, Christopher Terry and Matthew Terry; his siblings, Carol Cooke and Robert Green; and his niece, Terran Gary. Per Scott’s request, a private funeral service will be held on Thursday March 21, 2019 at the Mount Laurel Home for Funerals 212 Ark Road Mount Laurel, NJ 08054. Interment at Lakeview Cemetery in Cinnaminson, NJ. I am very sad about the loss of my good friend Scott Terry. My condolences to all of his family and friends. Scott was a very well developed person, who had a lot of unique qualities that are hard to find in people of any day. I am sure that his qualities stem from how he was developed in his youth. Scott and I had a very deep friendship, always glad to see each other. He and I could talk for hours because we had so much in common. I too started playing drums when I was about 15, and I played in my fathers gospel group and for the church as well. I am also a life long drummer. Scott and I first became friends when we both worked for ABB Traction in Ewing, NJ. That was about 26 years ago. At that time, we were both recently married, played golf ( although he was much more serious at it than I could ever be) and loved the Eagles. We lived in Willingboro at that time, and went to the same birthing glass when we had our first born children at about the same time. That gave us a special bond, and our families went along on similar pathways for some time. Over the years, we stayed in touch and made it a point to have coffee at least once a year or whenever we were both in town. During our coffee sessions we would talk about everything and bounce ideas off of each other. We both like the idea of becoming independent, and we always discussed the best ways to accomplish this with minimal risk. About five years ago, I took a job in Wyoming and moved there temporarily. During that time, I looked forward to my talks with Scott and we always shared greetings during the holiday's if we remembered. In December, I moved back to NJ. I was looking forward to hanging out with Scott and getting caught up. I am sure that everyone who knew Scott , knew that he had a keen intellect, an unforgettable smile, was extremely compassionate, and he was someone who told the truth. His personality was unassuming but strong. I found him to be as good of a listener as he was a speaker. I will miss him very much, as it is so good knowing that you have someone in your corner, that you can call on to share the ups and downs of life. Good bye my friend, I hope to see you again, on the other side.